The work of a recruiting coordinator (or of coaches) in a club organization is very difficult and time consuming. One of the greatest challenges when trying to help student-athletes through the recruiting process is motivating them to get involved. On top of that, dated technologies – spreadsheets, large BCC lists and the like – only exacerbate the problem by shifting attention from where it should be (on the athletes) to where it’s not needed (googling “how to freeze top row in Excel”). Let’s examine how much more effective a recruiting coordinator can be with the right tools. “The Empire Strikes Back is clearly the best Star Wars.” (Ok, that was my argument, but just making sure you’re paying attention). However, these arguments don’t make sense. “We have always done it this way” would mean never adopting things like cell phones or email because landlines and snail mail work best. “It isn’t broken, so why fix it” is akin to an athlete suggesting they don’t need to improve their game. “Technology will replace what I do” is misguided – technology facilitates what is already being done, like how a calculator assists a mathematician. 98% of our club partners renew when their contract comes up. If you’re a recruiting coordinator and you try our product, you’re never going to go back to the old way of doing it. Recruiting coordinators have expressed how much they enjoy the platform because it makes their job easier and their work more effective. Families expect the help of their club’s staff in the recruiting process. Many assume this assistance exonerates them from having to do any of the work. As any recruiting coordinator knows, however, the opposite is true. The challenge is getting the student-athletes to realize the recruiting process is a two-way street. If they are not involved, it won’t move for them. But what can a club do to communicate this to its athletes? 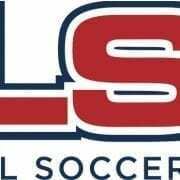 SportsRecruits provides the framework for club guidance and student-athlete initiative. Here are a few ways club staffers can help athletes drive their recruiting processes using SportsRecruits. 1. 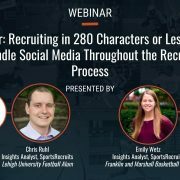 Encourage athletes to build their SportsRecruits Profile. To get a high-school aged student-athlete to do anything is a tall task, and this is no different. However, building an online presence is the foundational first step in their recruiting process. This profile professionally displays all the information a college coach needs to evaluate the athlete in one place. This profile becomes critical when athletes are ready to begin outreach to their Target List of Schools. 2. Ensure athletes explore their options. Research is a key part of the college search and recruitment process. Without knowing what’s out there, how can an athlete passionately pursue programs? Without a goal, how can an athlete sustain the energy, drive, and commitment required to realize his dreams? This is where building a Target List of Schools comes in. Having Target Schools to shoot for keeps athletes on track. But first things first. In order to get to this point, athletes must do their research. 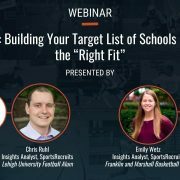 Using Advanced School Search, athletes find and identify schools they may not have known existed which may turn out a perfect social and academic (as well as athletic) fit. 3. Set athletes up for success by setting expectations. A family comes in with a list of schools they think may be a good fit. You go through the list together and highlight those you think are a best fit, as well as recommend ones they didn’t consider. Recommending schools is a simple and powerful way to encourage athletes to engage their recruiting processes. When a club staffer confirms that a school seems like a good fit, athletes can then approach coaches from those schools with increased confidence. SportsRecruits makes recommending schools easy, and the benefits don’t end at efficiency. Consider a club staffer tags a school for an athlete. Inspired, the athlete immediately sends a coach from that program a message. Traditionally, this correlation would be lost on the club staffer. On SportsRecruits, club staffers see this activity. 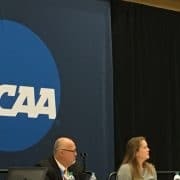 Now, they can easily track which athletes follow up on their recommendations, and which athletes are not taking the necessary steps to move their recruiting process in the right direction. 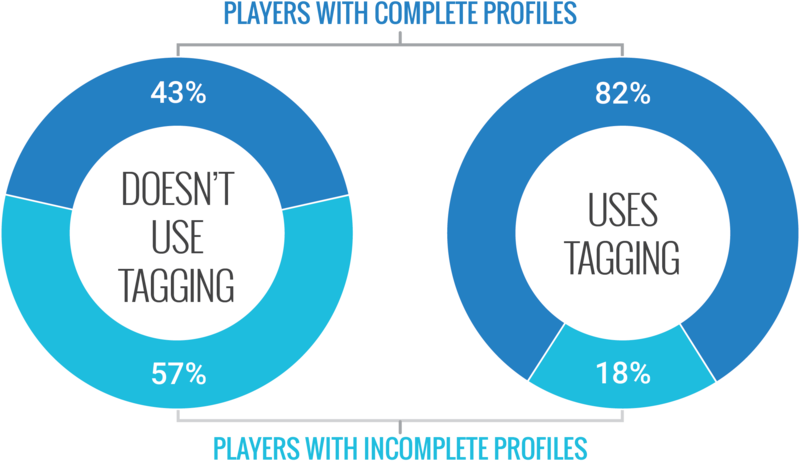 Athletes are proven to engage more when a staffer uses the tagging feature to recommend schools. Once athletes begin to contact the schools on their list, you can see this on your feed. No information is lost. No updates fall through the cracks. Since much of recruiting boils down to communication, this is key. 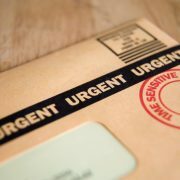 What’s another important facet of recruiting communication? College coach feedback. 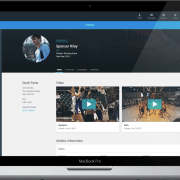 On SportsRecruits, athletes are notified when a college coach views their profile or video. Even if NCAA rules prevent the coach from responding to the athlete’s message, SportsRecruits allows their actions to communicate for them. 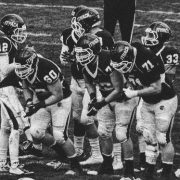 Athletes can begin to track notifications to gauge college coach’s interest. This feedback does wonders for an athlete’s morale. Seeing the ripple effect from their actions keeps athletes encouraged where they might otherwise lose momentum. 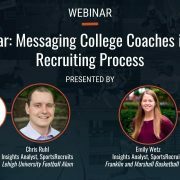 The feedback loop is closed, because all key players in the recruiting process – athlete, family, club staff, college coaches – are now on the same page. SportsRecruits hasn’t replaced the club staffer’s role – it supercharged it. Jay Fox personally experienced the recruiting inefficiency pain point as a parent. When the time came to start his club, Fox turned to the platform for a recruiting solution. See what SportsRecruits can do for your club.